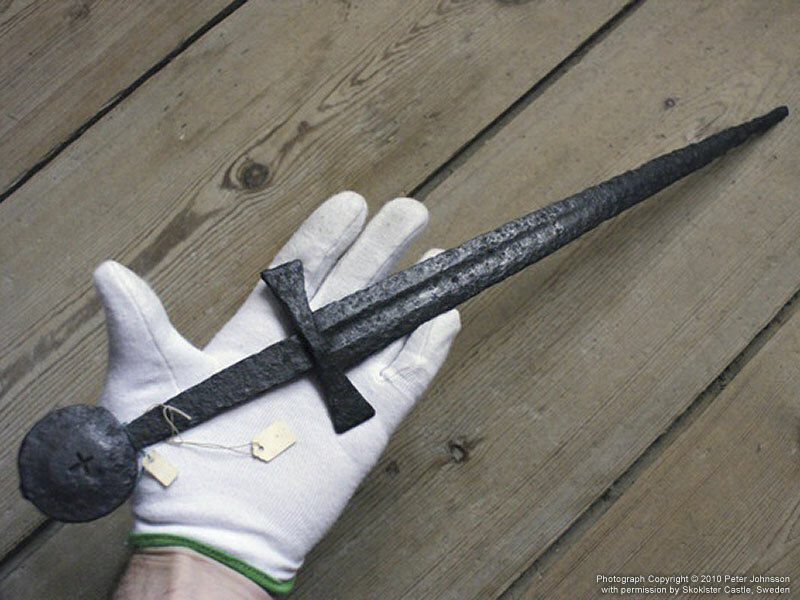 Original: Late 13th century, found in Sweden. • 35 people like this. Do you like this? 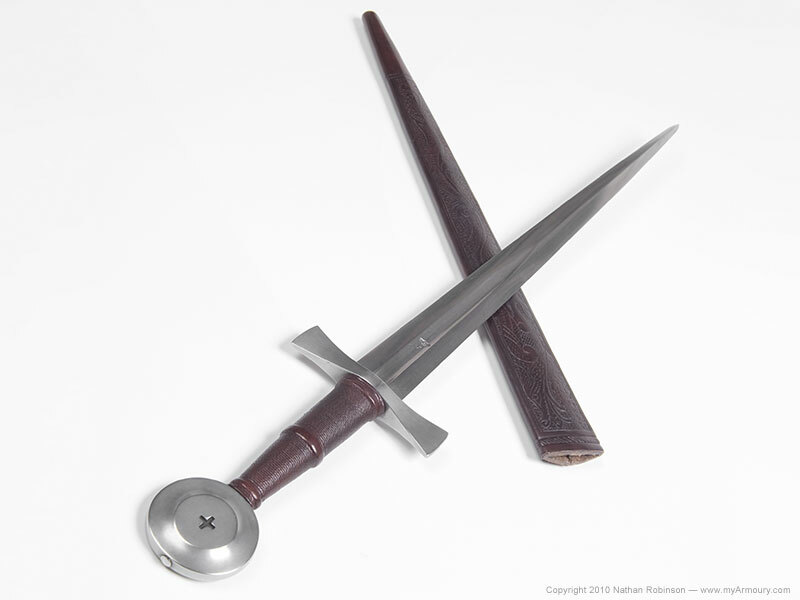 Cross-hilted, or quillon, daggers are by and large classified as military weapons. 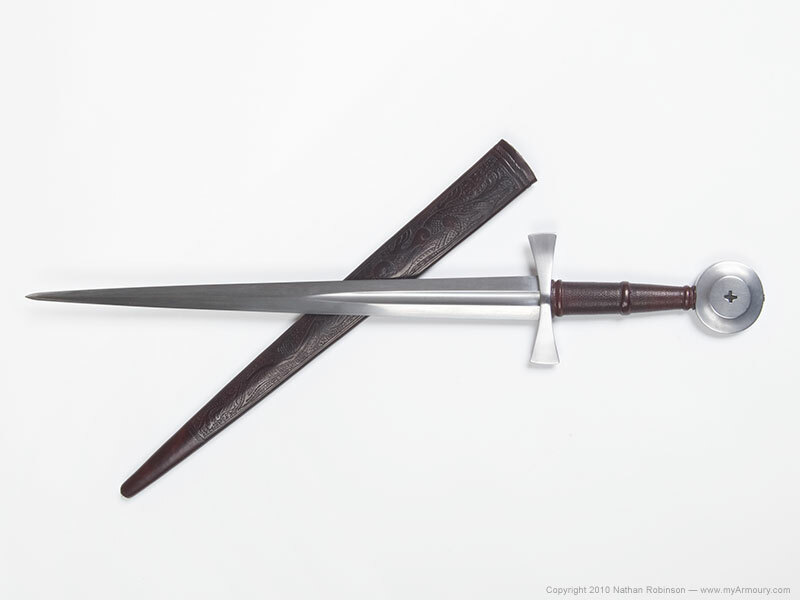 Their slender, acutely-tapered blades and robust tip-sections make for an effective attack against armoured opponents. 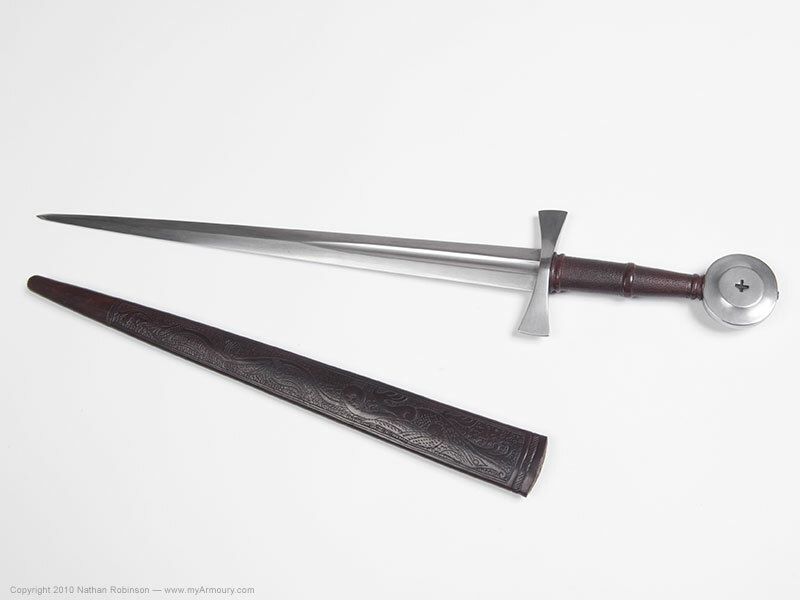 Named for their characteristic cross-guard, these daggers resemble smaller versions of contemporary swords of the period and were occasionally made en suite to a specific sword, having similar shapes, materials, and decorative motifs. In 2009, swordmaker Peter Johnsson visited Skokloster Castle in Sweden. There he found beautifully preserved fantastic treasures of art and explored the castle's two armouries. 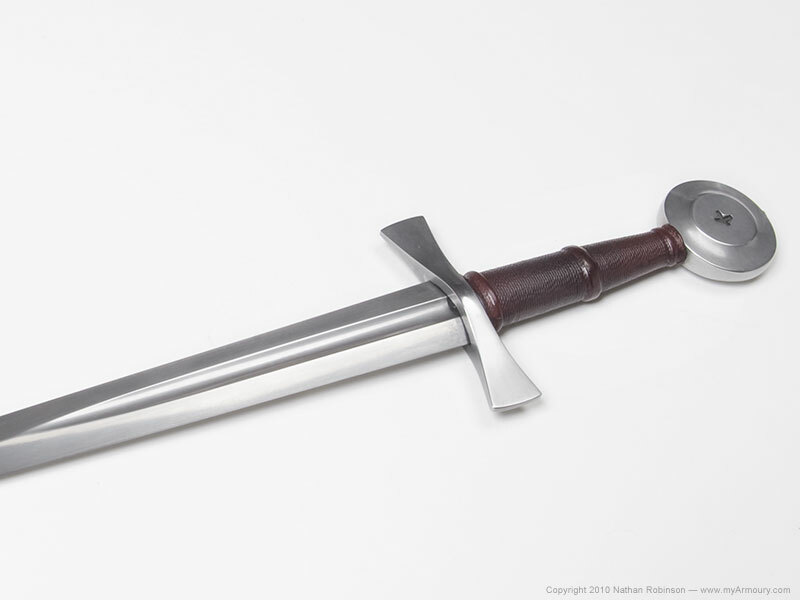 In one was stored a dagger that had been excavated from a ditch near the castle. He noted that it was a well made piece and admired its fine proportions, stating that while not having a perfection of symmetry or line, it still exhibited a "strong vitality in its presence". 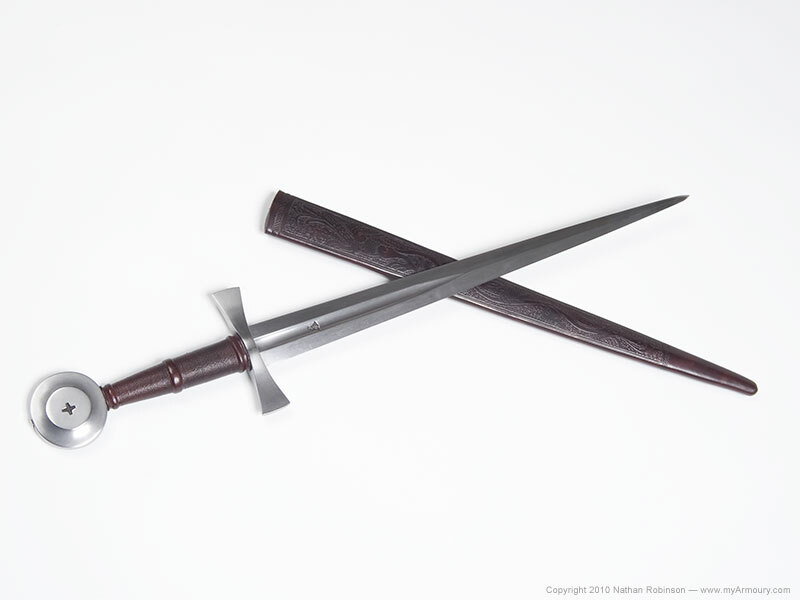 Peter's recreation of the dagger shown here is a stunning representation of the original. His intention was to have it exhibit clear traces of its forging and maintain very slight irregularities just as the original might have had. 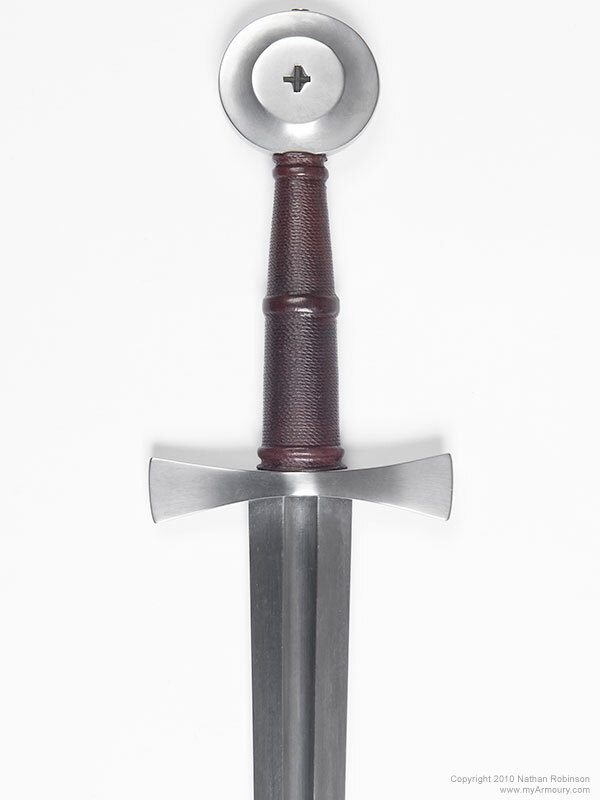 One feature giving character to the piece is the forged cross in the pommel. It is just slightly askew just as found on the excavated antique. 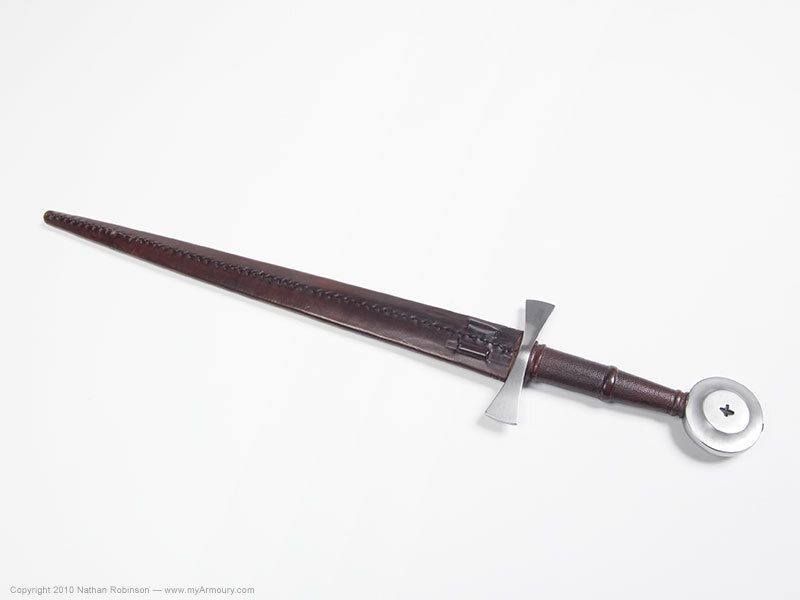 These very slight organic qualities combine with the crisp lines and craftsmanship of a master to create the impression of a dagger as it may have appeared while new centuries ago. 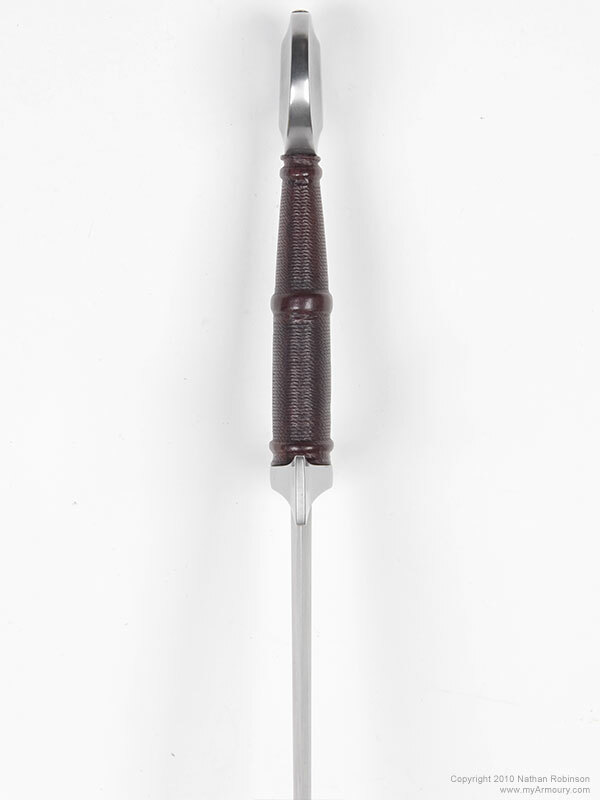 The cross-guard is a flared bow-tie variant with a swelled center section. 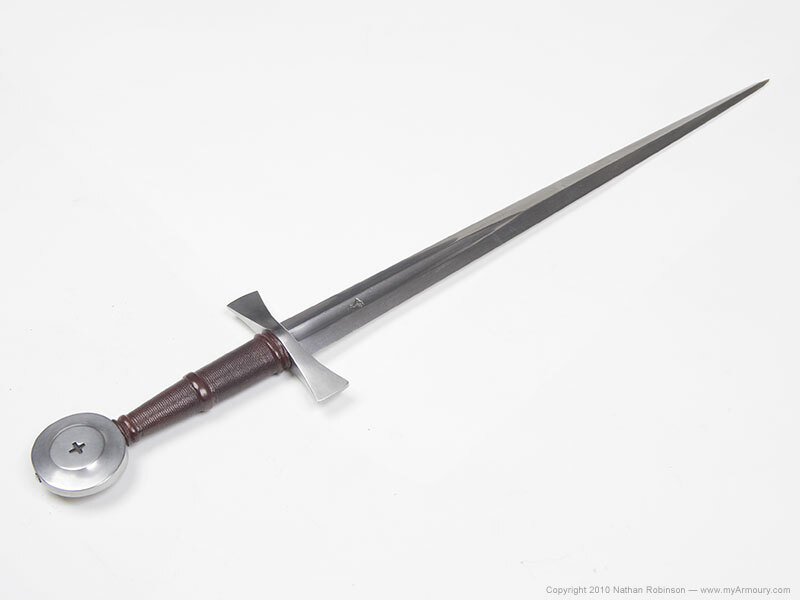 The wheel pommel is disc-shaped, slightly wider than it is tall and also tapered so that the base is wider than its top. The pommel's raised central boss has a forged cross struck on both of its faces. 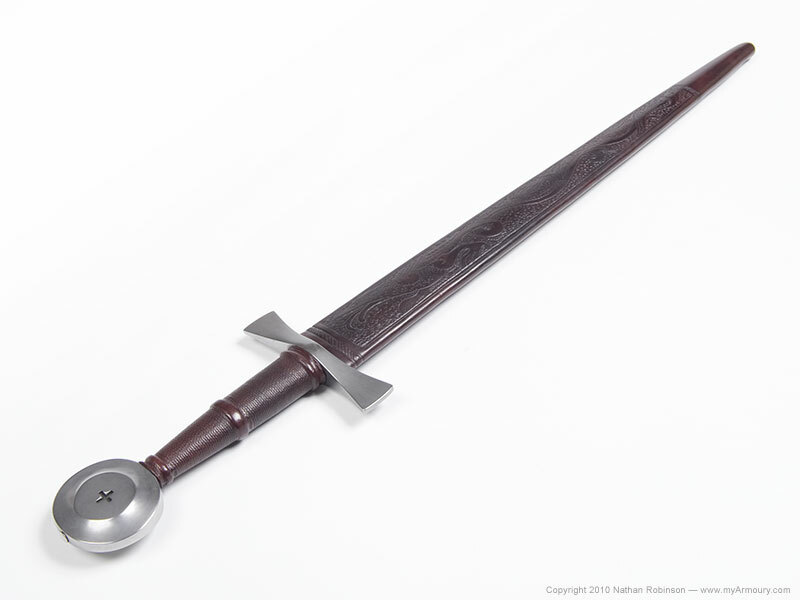 The grip is a hardwood core, wrapped in fine cord and covered in reddish-brown leather. There are risers at the top and bottom and an even wider central riser that splits the grip into two roughly equal sections. The blade is a robust diamond cross-section with a deep fuller, starting at nearly 3/8" wide and quickly tapering to a point six inches down the blade's length. There is a maker's mark, a crowned capital letter "P", struck within the fuller on one side. 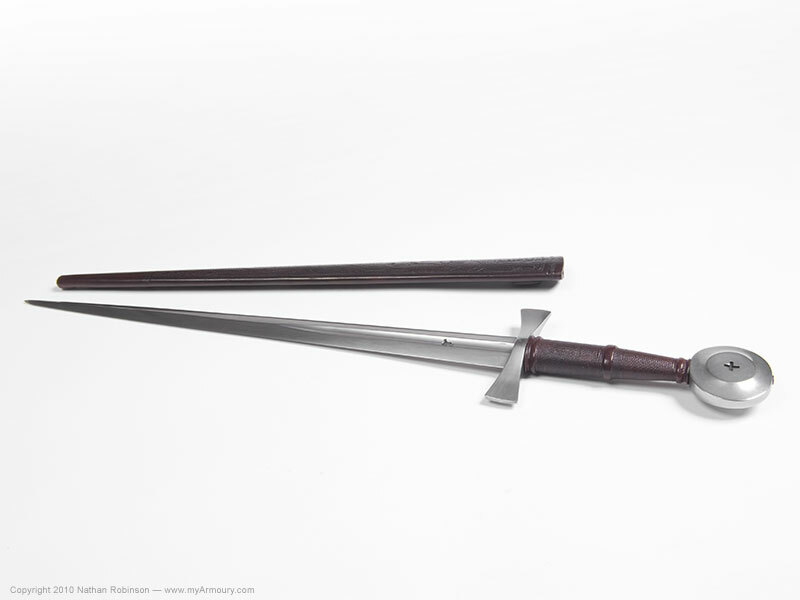 The scabbard is a masterwork in itself. It is made from two layers of leather, its innermost layer baked hard with an outer layer of fine-grained hide stitched to it. The entire outer face is hand-tooled with a historically-inspired zoomorphic motif framed by incised lines and geometric designs. Two channels are found on the back to accommodate a suspension thong. 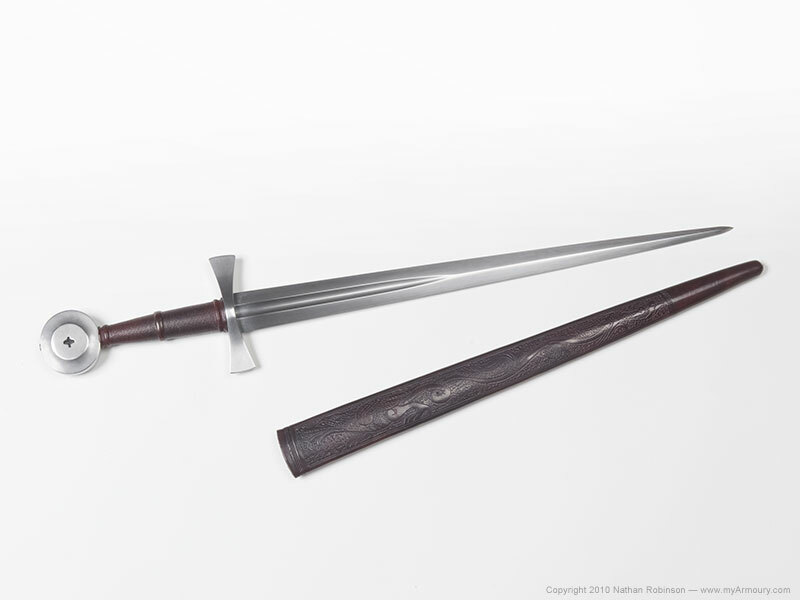 Blade: 13.75" long; 1.125" wide tapering to .3125"
This piece is based on a surviving dagger located in Skokloster Castle, Sweden.